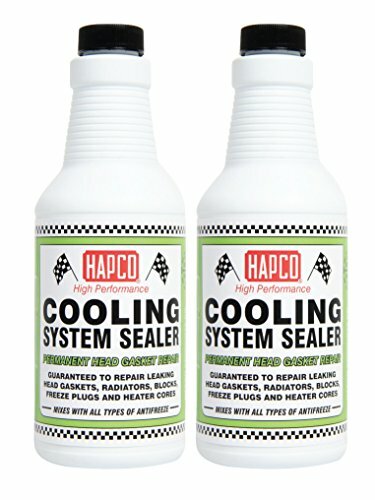 Hapco Cooling System Sealer is guaranteed to stop all head gasket, heater core, freeze plug, block and radiator leaks fast! It is easy to use and will not harm or clog any cooling system. Our original formula does not contain metal flakes and is compatible with all types of antifreeze. Specially formulated to permanently seal and protect against future leaks. For Best Results: Add one 16 oz. bottle of Cooling System Sealer into radiator. Start the engine and let it run 15 minutes or until the leak stops.